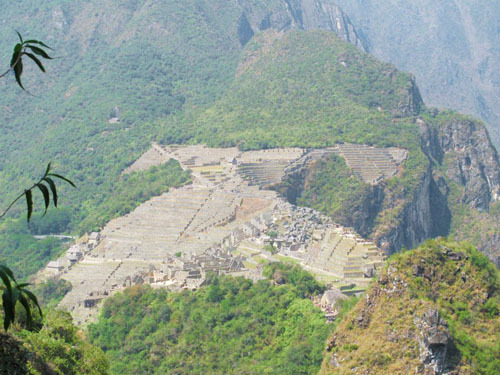 The eternal guardian of the Sanctuary, Wayna Picchu (meaning "young mountain" in Quechua) towers over the Incan city. To conquer its summit is truly an unforgettable experience. Along the route and at the top are sacred structures and eye catching terraces, built right against the slope's edge. 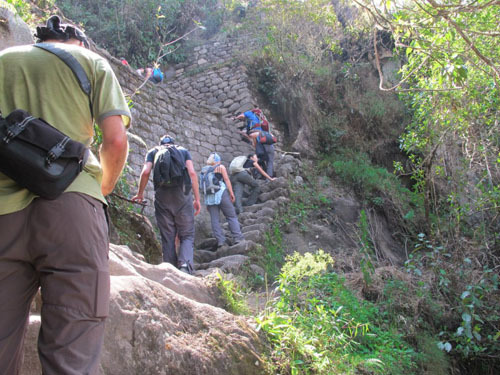 It is possible to begin the ascent from Machu Picchu's main square by way of a path the Incas themselves made. Today, it is well marked and in good condition. The view from Wayna Picchu is remarkable: Machu Picchu spread out in all its glory, the VilcanotaRiverCanyon, and the surrounding mountains. Be prepared for a tough two to three hour climb. IMPORTANT: Entrance tickets are not sold in the access control. Remember to buy them in advance. 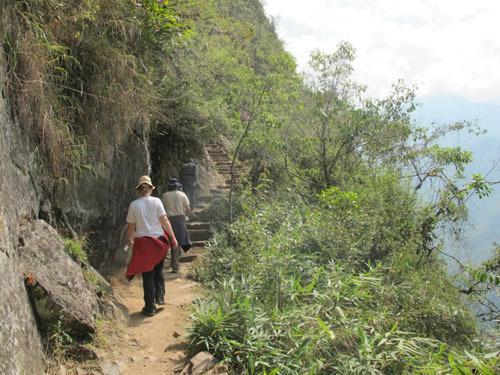 Since July 15th, 2011 there are new entrance tickets for the route Machupicchu - WAYNAPICCHU - Temple of the Moon and Machupicchu - Machupicchu Mountain. You may not enter these areas without this ticket. 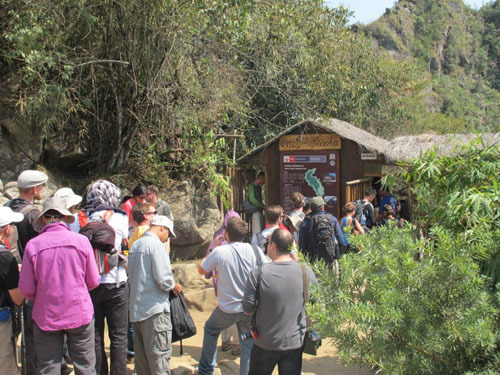 The maximum income is 400 visitors per day, divided into two groups of 200 people. Hours of admission are from 7:00 to 8:00 hrs. and 10:00 to 11:00 hrs. for each routes. 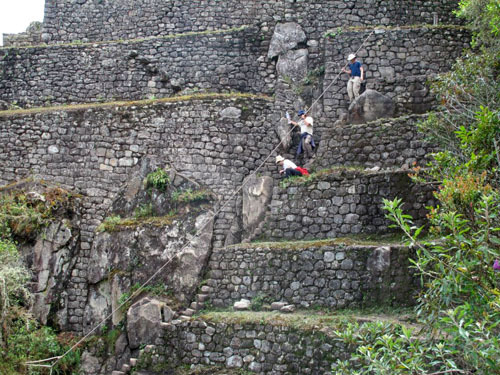 Perurooms.Travel: For more information, check our blog: Planning a trip to Machu Picchu?